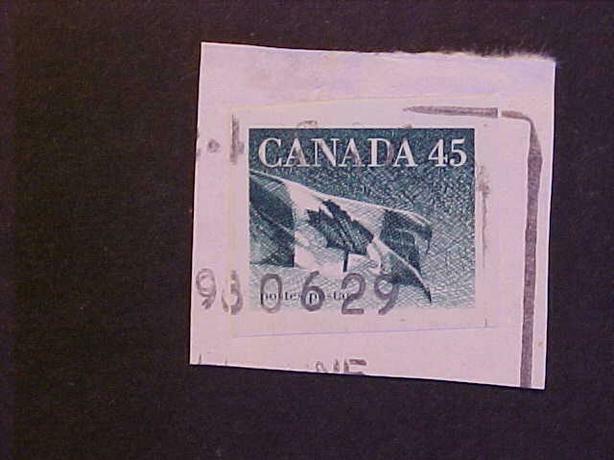 THIS MISPERFORATION ERROR OCCURRED ON SCOTT 1396, THE 45 CENT COIL FLAG STAMP. THIS STAMP WAS ISSUED JULY 31, 1995. 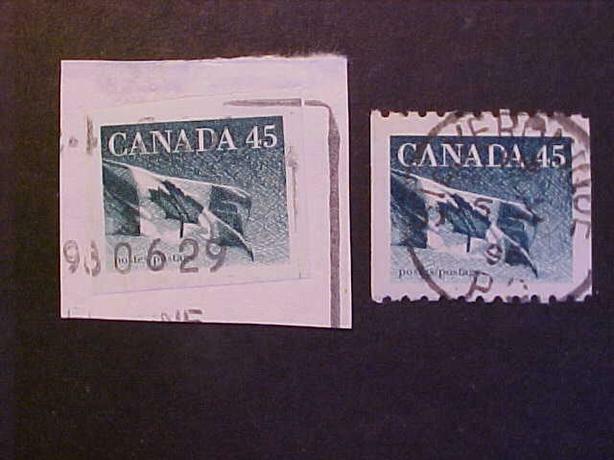 THE STAMP IS COMPLETELY MISSING ITS USUAL TOP AND BOTTOM PERFORATIONS AND IS TOTALLY IMPERFORATE. THE STAMP IS USED AND IS IN VERY VICE CONDITION.